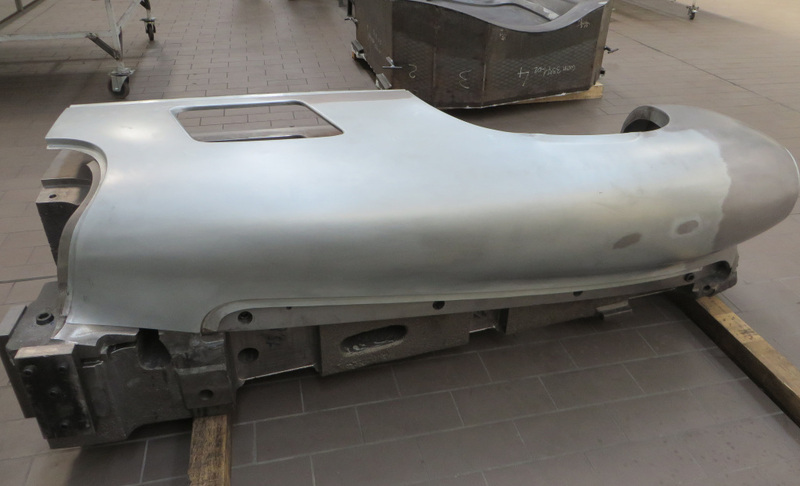 Key body parts for the Mercedes-Benz 300 SL Gullwing (W 198) are again available in factory quality. They can be ordered by their part number from any Mercedes-Benz sales partner. The production process combines state-of-the-art technology with traditional craftsmanship. It guarantees a high accuracy of fit of the metal parts while minimizing the need for subsequent work on the vehicle. Mercedes-Benz Classic developed the process in cooperation with a certified supplier. Stuttgart. The Mercedes-Benz 300 SL “Gullwing” (W 198) is still one of the world’s dream cars. Between 1954 and 1957, just 1,400 units were built of the famous “Gullwing”, which was voted “ Sports Car of the Century” in 1999. The conservation of these valuable vehicles sometimes requires key body parts. Mercedes-Benz Classic has now reproduced these parts, with others in preparation. 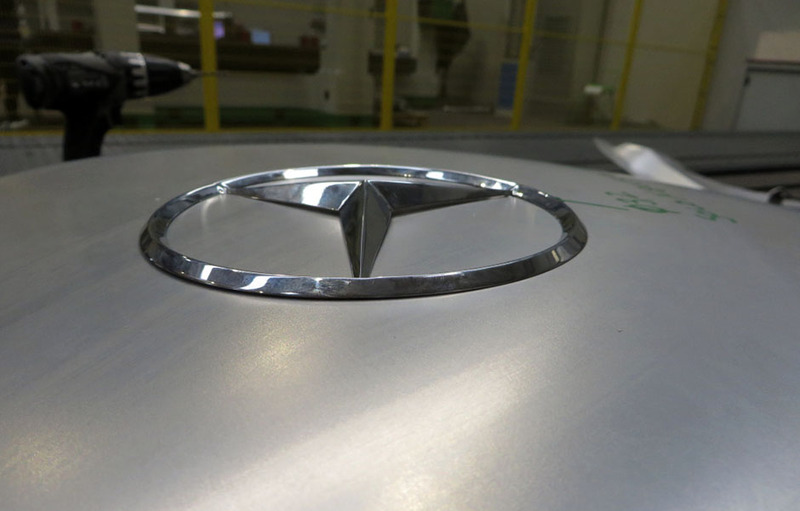 The body parts meet the high standards of Daimler AG and can be ordered by their part number from any Mercedes-Benz sales partner. Their surfaces are electrophoretically painted, which assures the highest technical and visual standards. The prices include VAT. 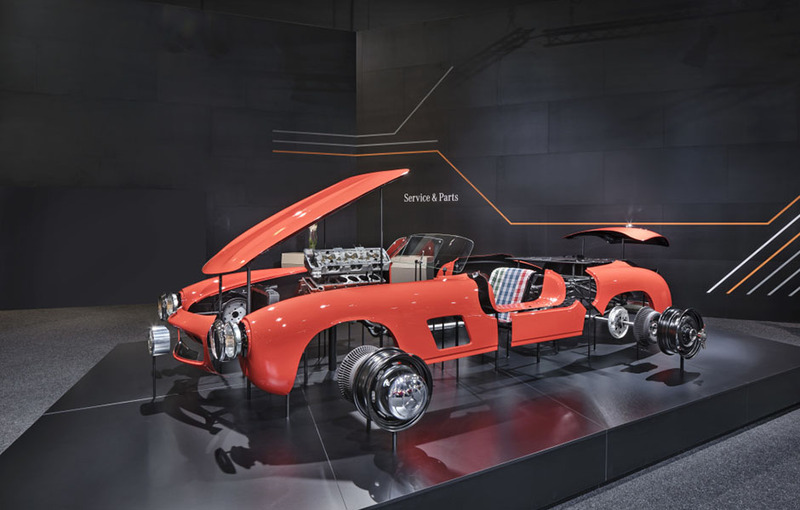 The metal parts are produced for Mercedes-Benz Classic by a certified supplier, whose expertise includes the highly complex construction of tools from optimized 3D data from original bodies. Metal parts produced on these tools are then worked into their final shape by hand using wooden mallets – another special process. The result of this symbiosis between state-of-the-art production technology and traditional craftsmanship is a high accuracy of fit that minimises the need for subsequent work on the vehicle. The precise 3D tool data also provide the basis for quality inspection by means of painstaking false colour comparison. The measuring tool receives the data as a reference and uses false colours to visualize the measured deviations between the desired state and the actual state, thus making it possible for the measurement results to be unambiguously and quickly interpreted.